This is a great set-up and would make an amazing holiday gift for someone! The stand and canopy are by All-Glass and are custom pieces ordered from All-Glass, the custom set sells for $899.99 retail! 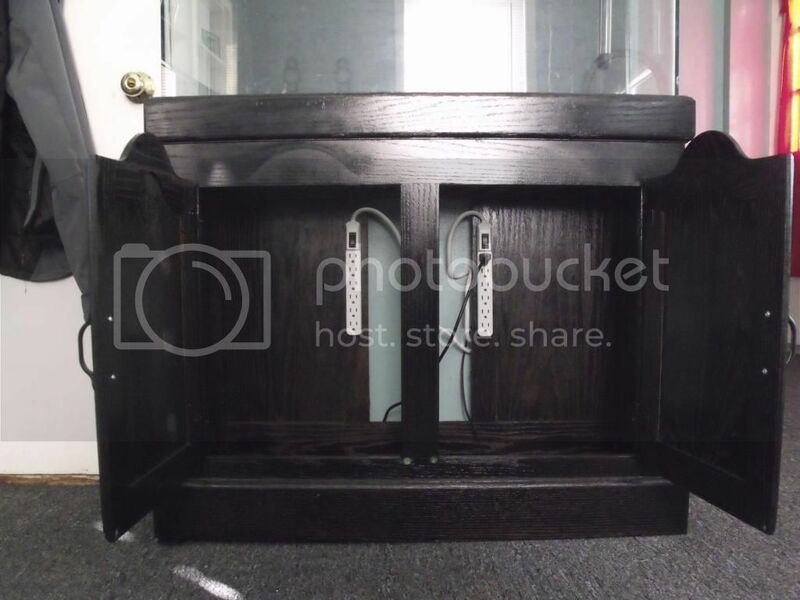 The stand and canopy are in amazing shape... the aquarium has a few small scratches... nothing crazy and did get a couple of small chips on the edge, this does not cause any issues with it being water tight. The stand and canopy really are the stars of the show... I just tossed the tank in so it would be a more complete package. The entire set up including tank, stand and canopy together measure 58" tall x 38" wide x 14" front to back. The heater works great and the light fixture has all new bulbs in it, they were replaced about a month ago. I'm only asking $230 for the set up! I'm not really looking for trades for this set up. It can be picked up in Biddeford, ME. Feel free to message me here or shoot me (Melissa) a text at (207) 423-1554.
very temping. good prices considering the new bulbs and it looks to be in great shape too. Thanks, it is in really great shape.... 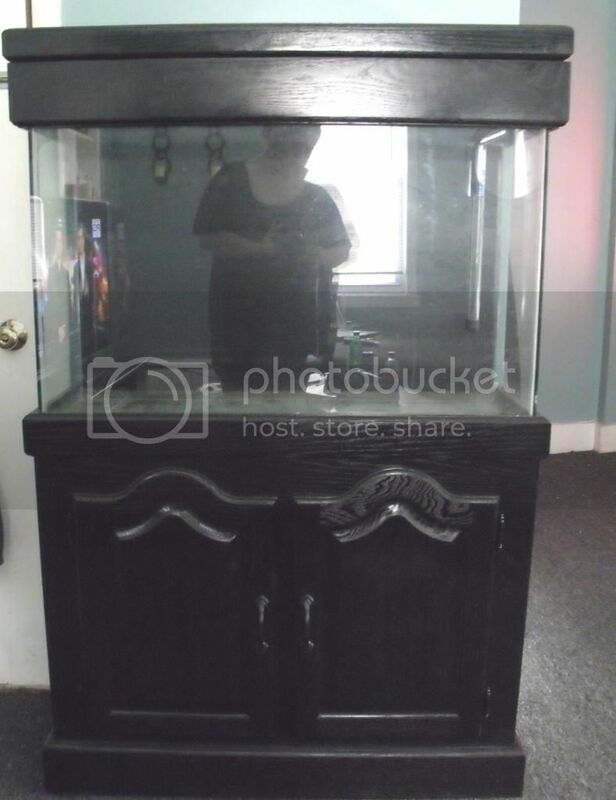 I just don't have any room for it in the new house. 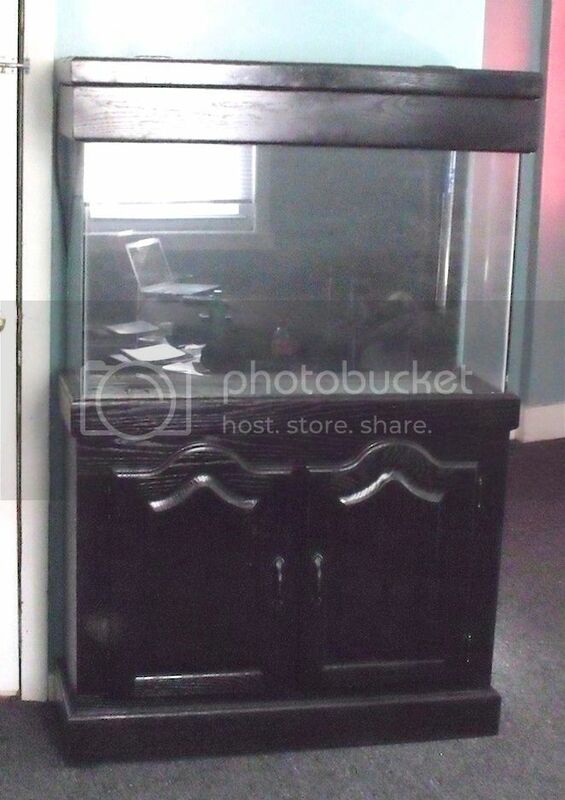 We already have our 75 gallon display tank and our 40 breeder frag tank all set up. I think that's enough for us for now.